Just this weekend I discovered a new community website for the Washoe Valley. It’s called washoevalley.org. I found the site through the proprieter, Rick C, and his Flickr account. Now, theoretically the Washoe Valley is inside Around Carson’s coverage area, so this site is like a competitor. But, I’ll let it slide since he’s doing such a good job of covering what’s going on up north. 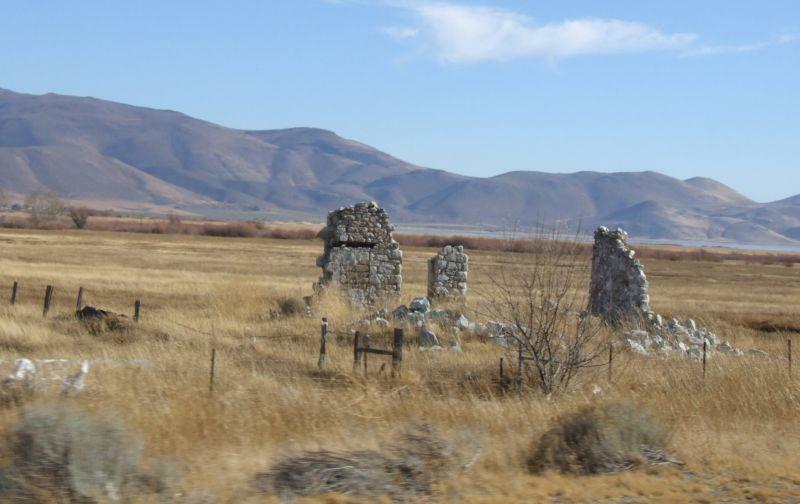 Most people probably just think of the Washoe Valley as a speed bump on the way to Reno. But it has a history just as rich as anywhere else along the Sierra front. The abundance of water led to farming and ranching being very popular here. It was also a place to process the ores coming down from the Comstock Lode. Also, Washoe Valley has always been the vacation spot for Carson and Reno. Folks would pile onto the V&T Railroad and head to Bowers Mansion for a picnic. And in the 1930s, ladies who had come to Reno to get a divorce would spend time on one of the valley’s many dude ranches, riding horses around the lake. The ice boat was capable of speeds approaching 100 miles per hour, especially when the characteristic terrific winds of the region were in full blast. The craft, well loaded with heavily bundled (and often not entirely sober) passengers who could make the run south down the lake, tacking port and starboard as demanded in easy legs, often with one runner high in the air. But it was the down wind course on the trip north which was the real thriller. With the typical Washoe “zephyr” swelling the sail tautly, the light craft would skim along the ice with the speed of an airplane. It was indeed exhilarating, if not somewhat frightening. But that was the joy of it. Then, without warning, the skipper of the craft would pull back abruptly on the tiller, whipping the boat around in a tight curve which broke the grasp of every unsuspecting passenger aboard. These passengers, torn from their precarious hold, were hurtled by centrifugal force out across the smooth ice surface at a tremendous speed. Many would shoot over 50 yards (according to contemporary reports) before finally slowing down to a frigid stop. This treatment was the feature of the ride and yet, there were never any passengers who refused “to try it again.” And so, loaded once more, the sail properly adjusted to the wind, the ice boat would repeat this experience, much to the enjoyment of all. Where do I sign up? If ice boating ever comes back, you’re sure to hear about it at washoevalley.org. Next Ormsby House For Sale? If Washoe Lake ever freezes over again, I’ll be right there with ya!